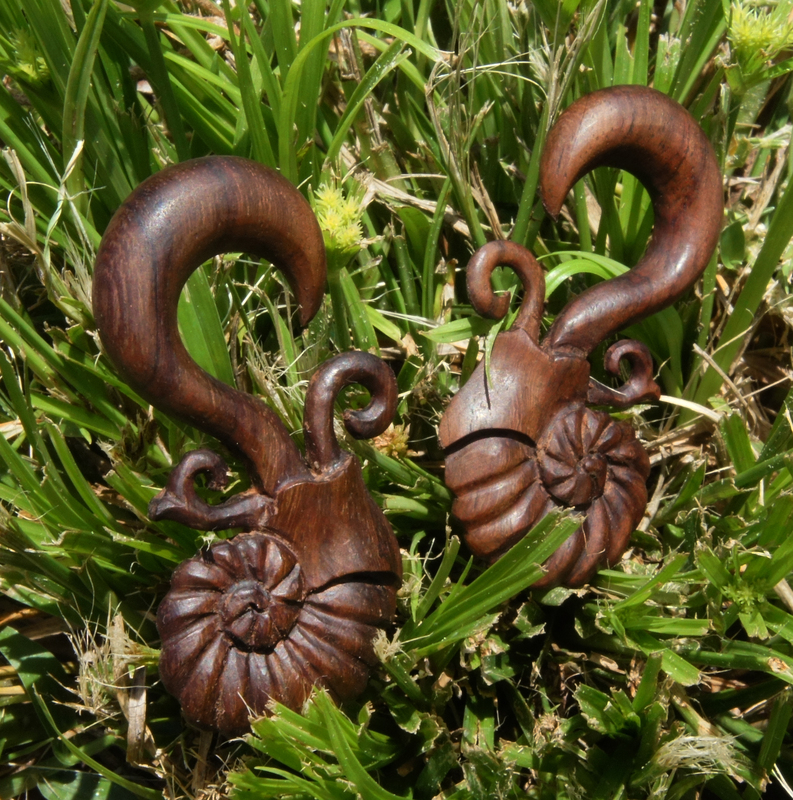 Chambers of the nautilus shell are one of the best examples in nature of a logarithmic spiral. This spiral is created by the nautilus growth, when it matures the nautilus creates another larger chamber. 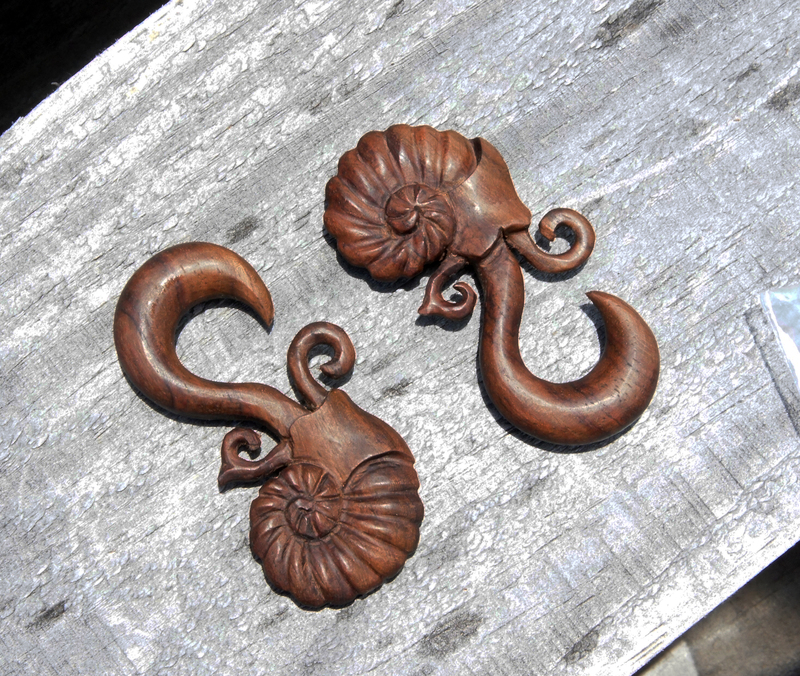 Nautical creatures such as this cephalopod mollusk have become a representation of growth and natural science. 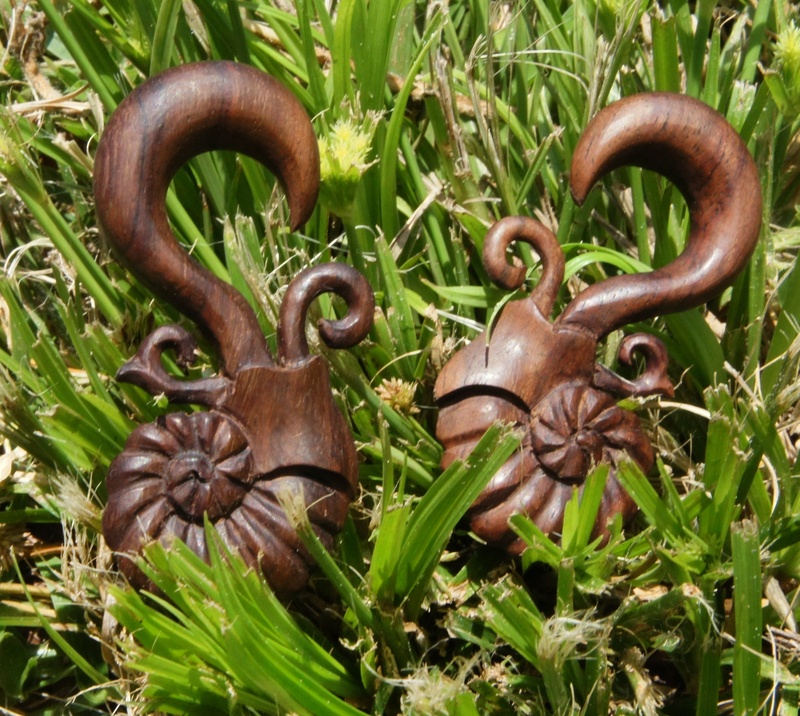 We chose a darker sono wood grain for the earrings with rich browns and black undertones looking to embrace the natural beauty of the wood with this tribal design. As with all of our gauged earrings we try to carry most of the popular gauge sizes, but if you don't see your size listed please feel free to contact us or check back later since we're constantly restocking or adding new sizes and styles to our line.